Looking for information on eating disorders in boys? Worried that your son has an eating disorder? How can you tell if a boy has an eating disorder? The fact is that the number of boys with eating disorders is on the rise. In 2009 my 15-year old son developed anorexia. Now, aged 25, he is thankfully recovered. 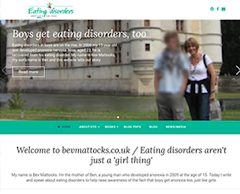 This blog tells the story of my son's recovery from a serious eating disorder as well as raising awareness of eating disorders in boys. As I said to my H last night: "I would have been surprised if (a) the NHS had offered me further help for C-PTSD, and (b) if that help had been effective evidence-based treatment over a sufficient period of time for me to recover rather than being discharged after a handful of sessions way, way too soon. It shouldn't be like this, for anyone suffering from mental health issues whether that's an eating disorder like anorexia or bulimia or a condition like Complex Post-Traumatic Stress Disorder. Hang on a mo, NHS... Let's see if I've got this right from the letter I've received this morning... Because I still have most of the Complex (or Chronic) Post-Traumatic Stress Disorder (C-PTSD) symptoms, despite having had 'three full sessions of therapy' over the years, yet I still 'feel the same', and because I still get 'triggered by Ben' (not his fault, just that certain noises, actions, etc trigger me because I have C-PTSD as a result of the years spent battling with his anorexia and, ironically, the NHS), NHS mental health services do 'not feel further therapy would be helpful at this point' and are therefore 'discharging [me] from the service'. 10 years is a milestone in a life and, in our family, the past 10 years brought with them a horror that we couldn't have imagined in our worst nightmares. 10 years ago this spring, in 2009, my son began to exhibit worrying symptoms, although back then we had no idea that these were a prelude to a full-blown eating disorder like anorexia. Of course we didn't. We had no idea that boys get eating disorders just like girls. 10 years ago this coming autumn I was cramming up on eating disorders and evidence-based treatment in order to fight for my 15-year old son to get successful treatment for his escalating anorexia. I quickly realised that the NHS wasn't going to rush this thing through despite the fact that I was rapidly learning how deadly an eating disorder can be, especially if left untreated for a lengthy period. It was only when, in the early spring that followed, my son's pulse plummeted to 29bpm and he was rushed into hospital, that NHS mental health services finally agreed to see him for eating disorder treatment. In other words, it appeared that his life had to be at risk for anything to be done. I am well aware that I've been absent for much of the past year as I continue to battle with PTSD, chronic anxiety and depression - so this post is just to say that I am still here, guys, and that if living with an eating disorder in the family for year on year has had a damaging effect on your mental health, you are not alone! I am still here, folks. Just needed a bit of time out from the world of eating disorders. Over the last month or so I've found it impossible to even so much as glance at anything to do with eating disorders let alone do anything useful and worthwhile. I even had to make my excuses to the January meeting of the Men Get Eating Disorders Too charity at which I am a Trustee. I seriously couldn't face anything to do with eating disorders. Nothing. Zilch. Zero. So that's why I've been keeping a bit (or a lot) of a low profile for the past few weeks. In the summer of 1993 I remember walking along the South-West coastal path in South Devon. I was six months pregnant and my emotions were all over the place. I remember sitting down on a bench overlooking the sea and bursting out into tears. The reason? Because the sheer responsibilities of impending motherhood had just hit me like a ton of bricks. Did I have what it would take to be a good or even reasonably good mother to the son or daughter inside me? Even an average mother? The sheer enormity of the task I was about to undertake suddenly seamed impossible. With my hormones all over the place, I burst into tears and couldn't stop. The thing is, we parents are unique. We know our son or daughter better than anyone else in the universe. We have lived with them since the day they were born, and for the nine months beforehand. We have watched them develop and change at every stage of their young lives. So if things start to go wrong and the alarm bells begin to ring inside our heads, our unique sixth sense picks up on it and we begin to worry. Last year I didn't do anything on Christmas Eve; I was in the throes of a C-PTSD attack. But this year Ben and I actually made it to the annual carol service which is held in the school chapel every Christmas Eve. We've attended it every year since 2005 (except for last year and one year when it was cancelled due to snow), even through the eating disorder years. This year was the first time, since the terrible Christmas of 2009 (when Ben was roller coasting into anorexia), that I haven't felt triggered in some way. "Is today proving that I'm fully recovered from the eating disorder?" said Ben yesterday (Christmas Day) evening. I gave him a massive hug in a response. Really and truly if you had been a fly on the wall yesterday, nothing in Ben's behaviour would have hinted at any history of anorexia. Ben enthusiastically devoured more than one helping of Christmas dinner followed by a couple of helpings of Christmas pudding, white sauce and Christmas ice cream - and continued to snack for the rest of the day. 'Twas the night after Christmas and all through Bev's head, everything was stirring and about to kick off big-style... Delayed PTSD panic attacks after Christmas. I know from experience that Christmas / the Holidays can be a tricky time for parents of young people with eating disorders and so I very much hope that the eating disorder didn't interfere too much with your festivities. I know how distressing it can be to watch the world going on around you, preparing for Christmas just like any other year, while, inside the house, the eating disorder is running riot. I was "there" at Christmas 2009, 2010, 2011 and, to some extent, 2012. Following those years I've battled with my own demons at Christmas thanks to C-PTSD (Complex / Chronic Post Traumatic Stress Disorder). The worst C-PTSD Christmas attack was last year when I couldn't do anything. No cards, no carols, no Christmas Eve carol service and - if I hadn't made myself get out of bed and "just get on with it" - no Christmas Day. The 2016 C-PTSD attack took me by complete surprise and just goes to show how you can't always control what the body / brain needs to do. Late yesterday evening we finally managed to pin Ben down to give him his birthday presents! Ben was 24 yesterday and had spent the past 24+ hours partying with his friends, both old and new. After dropping off the final friend at their house, he popped into the supermarket and returned with a feast of party food which we ate together in front of the fire and TV after handing Ben his birthday presents. Ben feels a deep, deep sadness at the way the anorexia stole so many years out of his life - and out of our lives, too. There's a real sense of mourning the "lost years": the years from 2009 onwards. He hates the way the eating disorder isolated him from his friends and all the fun things he could have done during those last three years at school. Although he still sees his old school friends on occasions (like tonight, for instance), it's nothing like it used to be, with Ben at the centre of things. He still feels that his friends treat him as "different" and he hates this. I was just about to cancel Christmas due to the all-pervading sense of gloom in our household when Ben walked into the room and began to talk about what's been bothering him. Yes, he suffers from depression (we already know that and he's on a low dose of anti-depressants) and we also wonder whether he may have PTSD. After all, why wouldn't he suffer from it? He went through the prolonged trauma just like we did. However we've both decided to wait for an official diagnosis and then take it from there. He has agreed to do whatever is required to help him manage it, whether that's medication or therapy - or a combination of the two. Yesterday Ben self-referred himself to our local NHS mental health team - I'd told him that he needs to get properly and accurately diagnosed so that he can seek the right help, whether that's medication or therapy. Although, as I said before, there are still sticking points with Ben's reluctance to give up calorie counting and insistence on going for diet meals on the (rare) occasions we don't cook at home. But I do believe that he isn't going backwards as far as the eating disorder goes. I believe that the other mental health issues (Aspergers? PTSD? Bi-Polar?) are separate problems. Having said that, I am keeping my eye firmly on the ball. The questions I don't have the answer to. Do you? 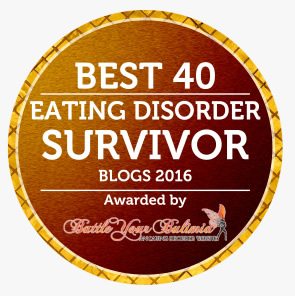 What constitutes full and absolute recovery from an eating disorder? Can anyone ever fully recover from anorexia without the risk of relapse? How many "recovered" individuals still count calories and control their food intake, albeit while eating enough to put on weight and / or maintain? Can anyone ever lose the fear of "getting fat", especially if they continue to put on weight? Can anyone ever be shot of the so-called co-morbid mental health issues like depression, Aspergers, bi-polar and so on? Is there anyone on this planet who is completely symptom-free of any of these things? And, if so, is that what constitutes full recovery from anorexia? Should we never be talking about "recovery" from anorexia, rather "remission"? For so very long I claimed that my son was anything ranging from 95% to 99.99% recovered from the eating disorder that emerged in 2009, was treated between 2010 and 2012, and then self-managed from then onwards after discarding various private therapists. Or even that my son was / is "in remission". First the Good News... Before the anorexia hijacked my son's life, Ben was at the centre of a fabulous circle of friends. Ben's birthday is in December and he'd get his friends round for a two-night sleepover with food and a cinema trip squeezed in between. It was a two-night event because Ben had so many friends that we simply couldn't get them all into his room. So half would come on the Friday night and swap with the other half for the Saturday night. 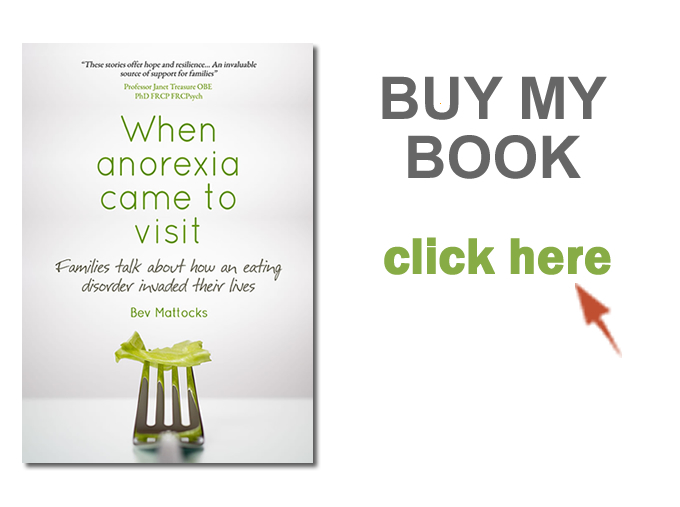 Read the story of my son's battle with anorexia - and his recovery. 20 UK families talk to me about how an eating disorder took over their lives. Would you like me to do a talk? Click the image to read a transcript of a talk I did for parents and download a PDF of the slideshow. I'm Bev Mattocks Osborne, a 60-year old freelance copywriter. I live in Yorkshire, UK, with my husband, 25-year old son and cat. 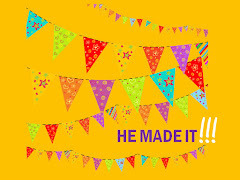 I am pleased to say that today, in 2019, my son has recovered from anorexia and has recently graduated from university with a Masters Degree. The only problem is that, although my son is now fully recovered from anorexia, it's left me with some pretty awful PTSD as a result of the sustained trauma of caring for him for all those years. What do I do when I'm not blogging about eating disorders? Have you joined the ATDT forum yet? "I no longer have to dread the calls in the middle of the night saying she is in hospital again after another overdose"
I'll say it again... I am NOT exploiting my son or his eating disorder, and he agrees with me.